From poetry to perceptions of perfection, we explore some of the least expected ways people are finding to deal with their mental health and wellbeing. Kicking off Mental Health Awareness Week we’re showing 3 short films made by local filmmakers. With a Q&A session after each film from contributors and film makers, as well as a poetic performance, it promises to be an eye-opening and engaging opportunity to understand a world that may not be so far away from many of us. A night not to be missed. In Other Words: A short film featuring members of the Poetic Unity group highlights three people’s stories of how the spoken word and sharing their thoughts that way has helped bring about a better mental balance for themselves and others. 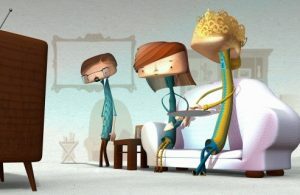 Angels & Ghosts: An award-winning animation based on the filmmaker’s true experience of trying to find her two brothers, both of whom faced different serious mental health challenges as she was growing up. Her unique approach to storytelling helps explore the mind of a young girl struggling to find her family, from the perspective of someone on the outside looking in. The Perfect Woman? 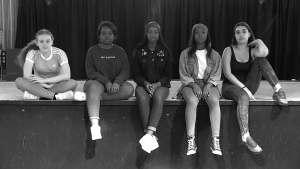 : Made by 5 young female South London filmmakers, The Perfect Woman explores the damaging impact of society’s obsession with girls and women having the perfect image, fuelled by social media. It was wholly conceived and created as part of their project for GlobalGirl Media UK, which empowers young women to bring their voices to the global media stage.